On my travels, I was present at different types of trance. Some were performed by groups of people and other by shamans who became the connecting point with the ancestors or gods. Sudanese Dervishes are using prolonged, repetitive ritual bowing and swirl dancing. 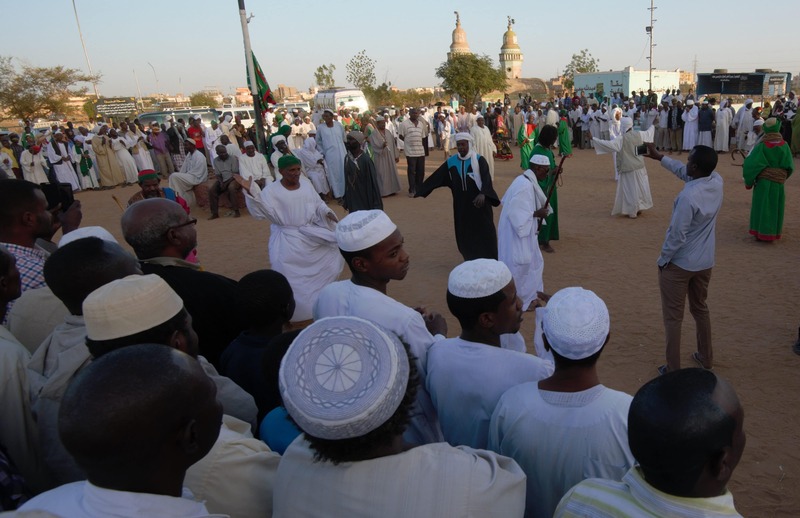 Dance is performed in Omdurman in front of the tomb of Sheikh Hamed al-Nil on Fridays afternoon, one hour before sunset. The purpose of the frenzy is a ritual called dhikr. The dhikr relies on the recitation of God’s names to help create a state of ecstatic abandon in which the adherent’s heart can communicate directly with God. This personal communication with God is central to Sufi practices. 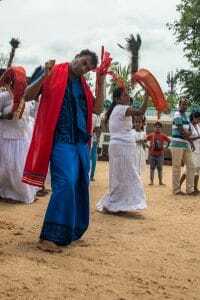 At Maha Devale Buddhist and Hindu temple in Kataragama, Srilanka pilgrims following shaman in trance visited the shrine. 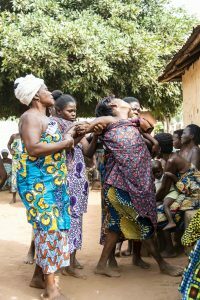 Voodoo or vodoun originates in West Africa and followers believe in one supreme being and other lesser divine beings, and that the world of the living and the world of the dead are intertwined. Voodoo trance is spiritual happening controlled by voodoo priests and can be organized for thousand reasons. The ecstatic rhythm of drums drives dancers to trance, so wild, they can harm themselves. Dancers in trance are taken to the shrine to cool and then continue dancing. © Copyright 2018 / Darko Ermenc / All Rights Reserved.